'Splosion Man swept us off our co-op loving feet this summer. Now, Twisted Pixel, the studio behind 'Splosion Man, has teamed up with Omaha Steaks to bring you a very - er - interesting sweepstakes. 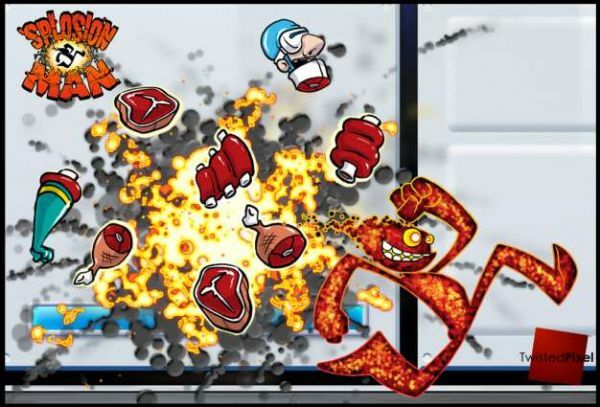 Play 'Splosion Man, win Filet Mignon. Seriously. First, check your Xbox Live account information to make sure it's up to date and accurate. Next, register for the sweepstakes by downloading the 'Splosion Man sweepstakes gamer picture between October 22nd and November 22nd for free. Finally, play 'Splosion Man co-op (one entry per multiplayer log-in, up to 5 entries per person) to win! We weren't lying when you said you'd win steak. Vegetarians beware. Everyone else, go register and co-op immediately. Page created in 0.2187 seconds.